‘Tis the season! 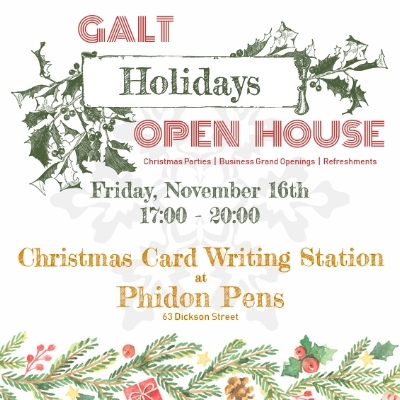 Join us as we kick off the holiday season in Galt alongside several other local shops. If you haven’t visited our downton in a little while, be sure to drop by and greet our new neighbours. We will be hosting a writing station in our workshop room, so come prepared to write and decorate your Christmas cards!